Airstream might just have the most iconic and recognizable campers around. So when it came to visualizing their marketing technology stacks, the company didn’t stray far from the campgrounds. 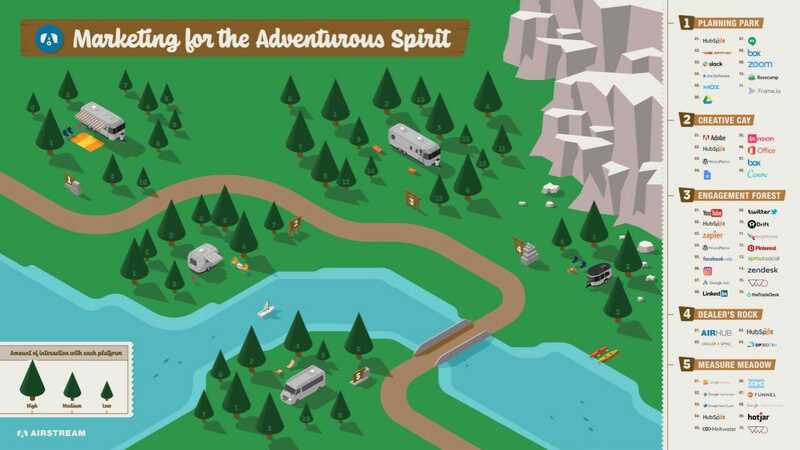 The company partnered with marketing agency Element Three to develop a slide that ultimately earned them one of five Stackie Awards at MarTech earlier this month through a visualization that demonstrated the many technologies at work in their martech stack, while playing on the theme of nature and escaping to the great outdoors. But it wasn’t all for the prize. Digital marketing director Dustin Clark said that during the teams’ creative processes and analysis of the stacks, they recognized common goals — and opportunities — across marketing operations teams. Here are the takeaways they gleaned. “Investing in and setting up analytics is so often overlooked, and yet always pays for itself in the long run, especially in marketing operations. Being able to track and report on the results of marketing efforts quickly is crucial to getting buy-in on projects and budget approvals. You’re not going to get those numbers easily if the state of your web analytics is a mess,” Clark added. 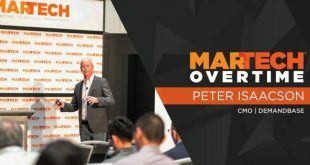 The Stackie Awards were announced at the MarTech West in San Jose on April 3, 2019. The event also raised $4,800 for Girls Who Code, a nonprofit organization supporting women in the field of computer science. This year’s other winners include ESRI, Juniper Networks, Paychex and Sargento. Jennifer Videtta serves as Third Door Media’s Senior Editor, covering topics from email marketing, analytics and marketing automation to project management. With over a decade of digital marketing experience, she has held in-house management positions overseeing digital marketing operations, and agency roles, advising enterprise marketers on maximizing their martech capabilities. Jennifer formerly organized the Inbound Marketing Summit and holds a certificate in Digital Marketing Analytics from MIT Sloan School of Management.